Magento GeoIP store switcher extension by FME allows you create multiple storefronts and automatically redirect the visitors to the regional storefront. This Magento GeoIP store switcher extension automatically detects the visitor real-time location. 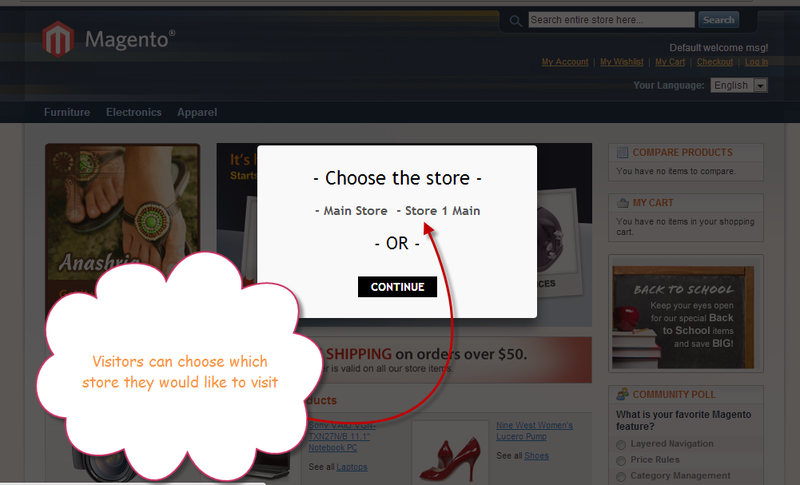 Visitors can also manually change the storefront using the store switcher popup at the footer of the webpage. Another exciting feature of this store switcher is IP Exceptions which allows you to grant access to specific IP addresses to visit your store from the blocked country or region.